Elizabeth Pharmacy at 5041 Second Ave. has served Hazelwood residents since 1910. 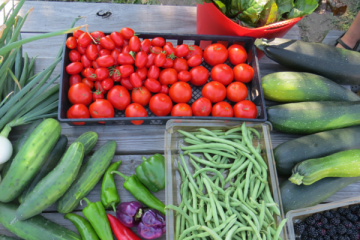 All photos by Sandra Tolliver. Joe Reich surveys the aisles of his pharmacy as he walks toward the front, winding his way around a cart with dry goods an employee has parked by the food shelves. He exchanges warm hellos with a few customers he greets by name. 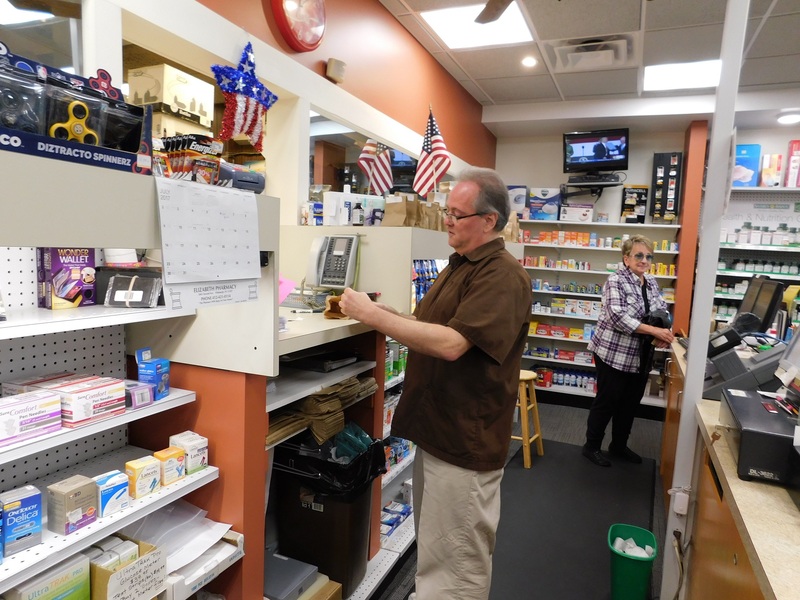 Elizabeth Pharmacy, a fixture since 1910 at 5041 Second Ave. in Hazelwood, is much like the old-fashioned general store where people mingle to talk about news of the day on their way to work or home. Reich stocks just about anything people might need, from food and clothing items to household and lawn care goods, games, puzzles, school supplies—even flags, portable radios and blow-up swimming pools for outdoor fun in the summer. “Just years of knowing what people want,” he shrugs with a smile. 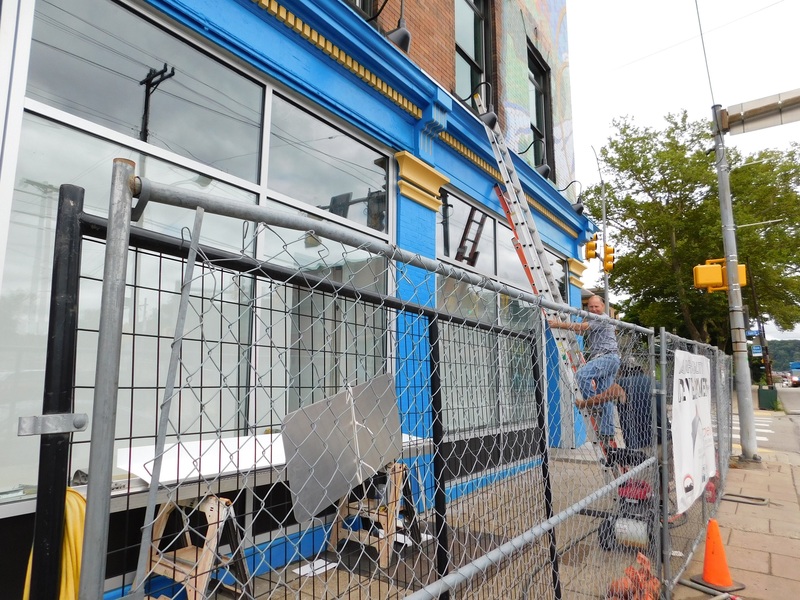 With its newly painted bright blue and yellow entrance and flashy display windows, the store is eye-catching on the street, and people are popping in to ask about the progress of its remodeling. Painstaking restoration work is starting to reveal the building’s true potential, and Reich is eager for the day he can remove the temporary plywood hallway leading to the rear pharmacy and welcome folks for a grand opening. He says the promise of the redevelopment of Hazelwood motivated him to buy the pharmacy six years ago. “Big things are coming,” says Reich, of Carrick, who came here straight out of Duquesne University’s School of Pharmacy in 1977. He began restoring the three-story brick building at the corner of Elizabeth Street with the expectation of spin-off development in the business district from Almono, the signature riverfront project of the Regional Industrial Development Corp. across the railroad tracks. “It’s going to be a big investment,” Reich says. The upbeat atmosphere inside the store is made more energetic by the construction work going on outside. But Reich has a calm, self-assured manner with his customers. Like the pharmacy’s other proprietors before him, he sometimes extends a little help to those who can’t afford the medication they need. Retired pharmacy employee Marianna Kelch watches Joe Reich check a prescription. “It’s a nice place, nice people,” says Marianna Kelch, who retired from the pharmacy about 18 months ago after working there 19 years. She was a school crossing guard before that, shepherding kids from sidewalk to sidewalk in Hazelwood, where she has lived all her life. She still wanders comfortably behind the pharmacy counter to talk with Reich and pharmacist Larry Swanson. “I do miss talking with my customers, and even as a crossing guard, you know, talking with folks on the corner. When I was a kid, there used to be a soda fountain and booths along here,” she gestures to a wall with shelves that currently hold oscillating fans, across the aisle from the greeting cards. At Italian Village Pizza shop next door, people are pleased that “one of their own” is investing in the community. Reich is happy that others are bringing new business to Hazelwood—he often stops in La Gourmandine at 5013 Second Ave. for a French pastry. George Cunningham, a friend of Joe Reich, climbs a ladder to work on trim at the entrance way. 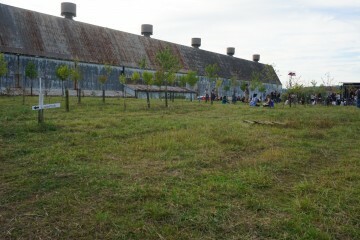 His friends are helping to do some work on the pharmacy building. Reich secured finance, design and construction assistance from the Urban Redevelopment Authority, Hazelwood Initiative, Bridgeway Capital and PWCampbell. The URA provided a $61,500 facade improvement loan through its Streetface Program; the total project cost was $139,442, says Tom Link, director of the URA’s Center for Innovation and Entrepreneurship. Glass has replaced the plywood that had boarded up the building’s windows. 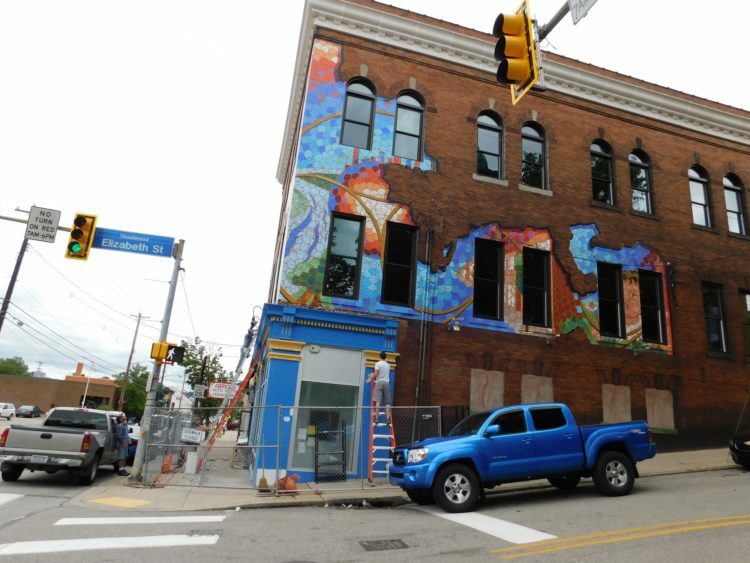 Reich chose not to sandblast away the colorful mural on the Elizabeth Street side of the building, which the Hazelwood Initiative had commissioned. An architect with Hazelwood Initiative is drafting a plan to construct up to six apartments in the upper two floors, work that might take another three years, Reich says. By then, he figures he’ll have invested close to $2 million into the project. 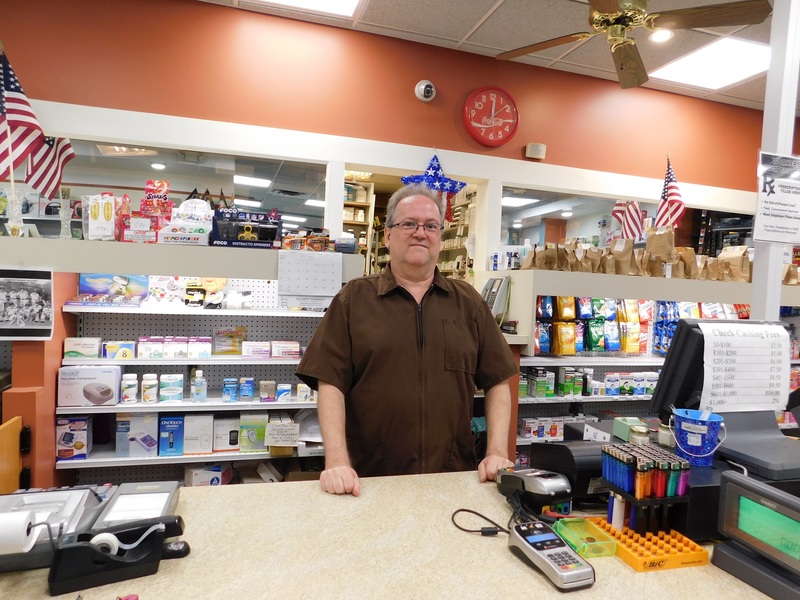 Joe Reich purchased Elizabeth Pharmacy six years ago and has been lovingly restoring the building.